If you are student and you are looking to get a domain, then you’re in luck! You can get one for free with Namecheap. Namecheap provides services such as domain name registration and web hosting services. 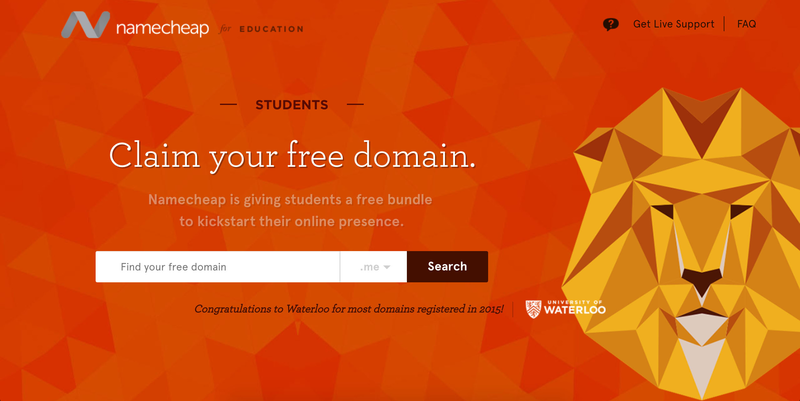 If you want a free domain, check out their student offer here. There is a small catch though. You will only be able to get the .me domain for free. .me domains are usually used for personal sites and blogs like mine. If you’re looking for .com, .net, .io and other domains, then this offer will not apply. Despite that, Namecheap’s domain hosting is extremely affordable and comes in at only a couple of dollars per year.